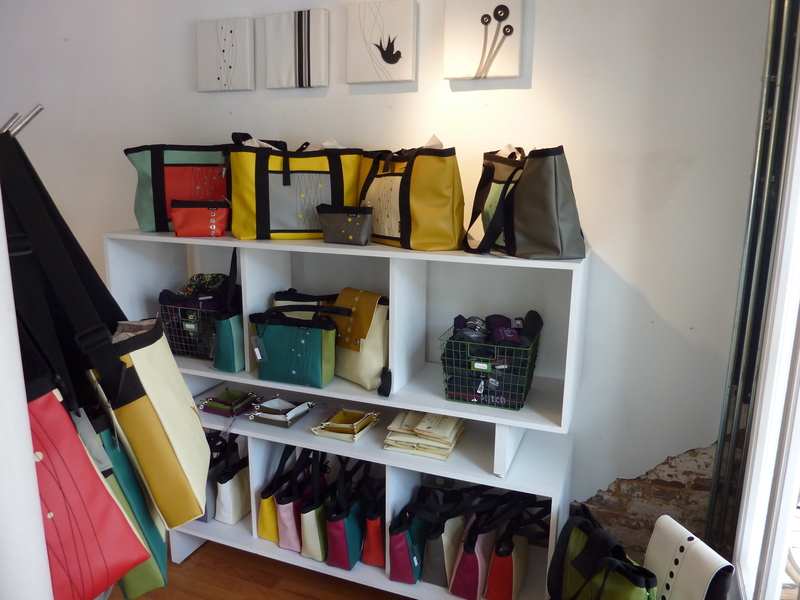 Since 2004, Holly Aiken bags have been designed and assembled in North Carolina. “Influenced by colors found in dime store aisles and vintage racing jackets,” Aiken’s bags are primarily made from vinyl and bold trim, accented by stripes or crisp geometric shapes. The product patterns and colors, however, are completely customizable. 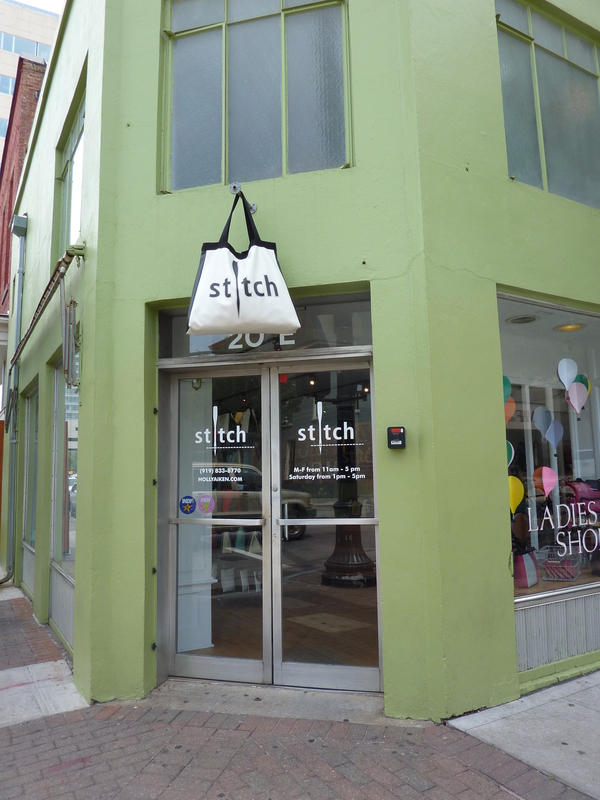 As a graduate of the North Carolina State University’s College of Design, Aiken moved her downtown Raleigh shop Holly Aiken - Stitch to the corner of Wilmington and Hargett Sts. in 2008, where visitors can see the creative process in action. The retail design showroom is at street level, while the second floor is devoted to manufacturing. She offers an array of uncomplicated (and seriously cute!) 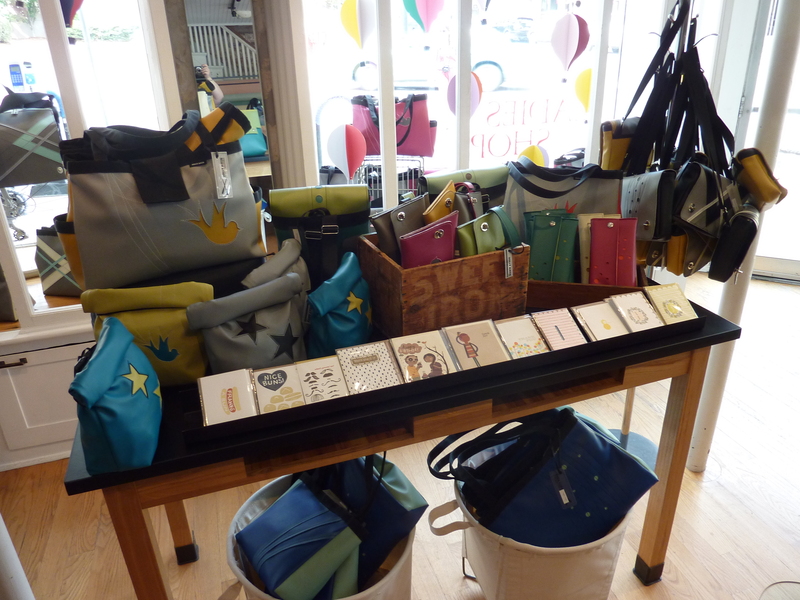 bags using distinctively retro and indestructible vinyl materials, from messenger and tote bags, to clutches, back packs, diaper bags, wallets and accessories. Aiken now also offers digital/tech and business card sleeves, wrist cuffs, wine bags and hotcup sleeves for your coffee or tea on the go. Three styles + six patterns + 25 colors = the opportunity to create a bag as individual as you are. In addition to an online store, Holly Aiken designs can also be found at Deco Raleigh, Main & Taylor at North Hills, NOFO at the Pig, Sweetbottoms Baby Boutique and at The Umstead Hotel and Spa. 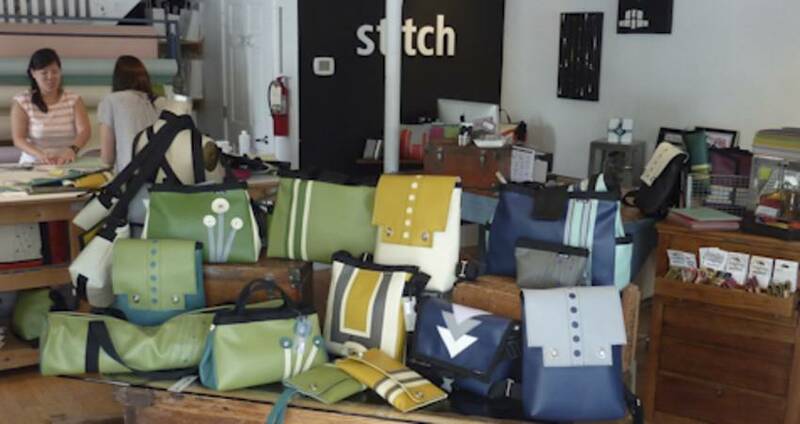 Whether buying for yourself or perhaps a gift certificate for that special someone, shop smart and look divinely chic with a pick from Holly Aiken - Stitch. P.S. : They do a great gift wrap as well. Open Mon.-Fri., 11AM-5PM and Sat. 1-5PM.